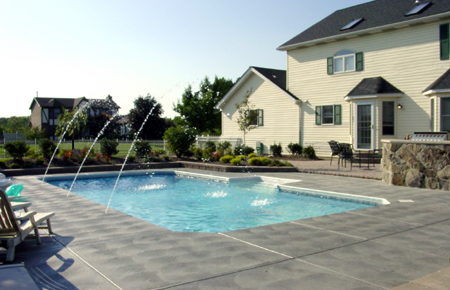 Whether you’re looking for pool accessories, or for the perfect item to “make” your paradise, Rios Pools can assist you. 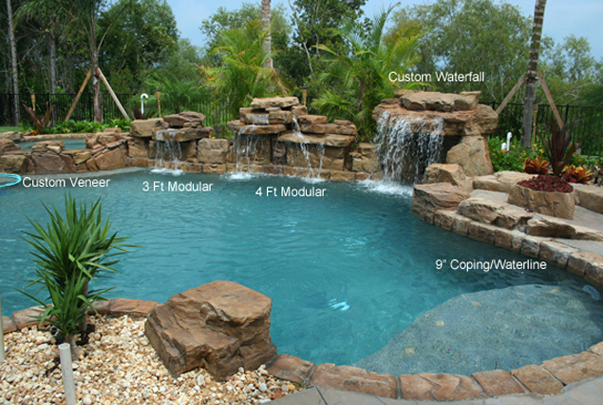 There are a variety of accessories that can be installed or used on new and existing pools. Below is a listing of just some that are available. Also, if there is a particular accessory that you are interested in, and don’t see it here, just contact us, and we’ll get you the information you need. The Aqua Rite is the easiest way for you to sanitize your pool, and keep your crystal clear and silky smooth! Safety is important, when it comes to owning a pool. Automatic Pool Covers, offer you the highest level of security and peace of mind. Deck Jets create shimmering arcs of water from your deck into your pool. These simple jets make a dramatic effect! Put the FUN into your pool with volleyball and basketball pool games! Each are easily installed and removed. Durable, rugged & light weight. Molded from actual rock outcroppings for a realistic look. 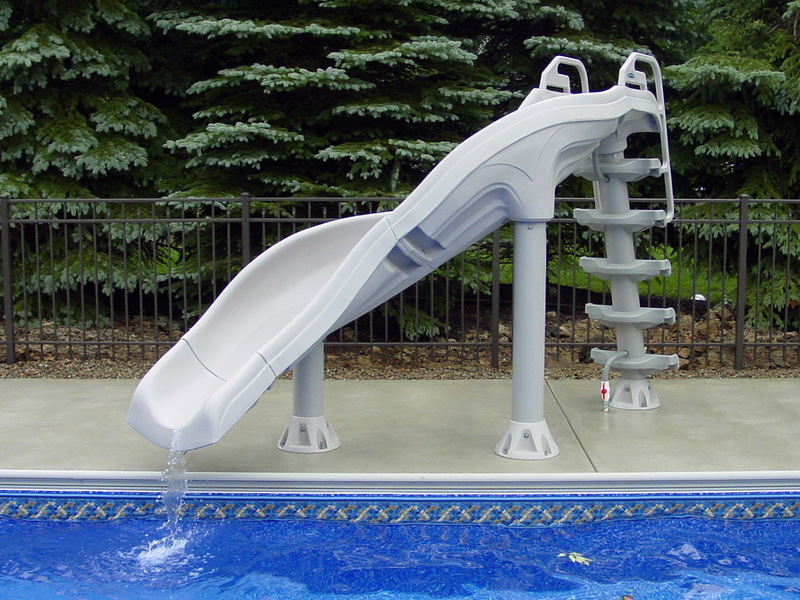 Slides are a great source of fun for your pool! We have many varieties available, to suit your needs.